3/30/19 Our Spring Session starts April 1st. Check out our Newsletter for more info about the Spring. 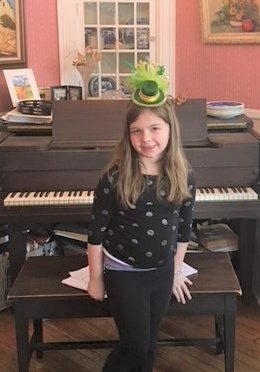 3/9/19 Good luck to our NYSSMA Spring Festival students! 1/21/2019 All lessons are canceled today due to the weather. 11/23/18 As our Fall Session continues Students will be returning from Thanksgiving break on November 28th and are looking forward to Repertoire Week which begins on December 10th. 8/22/2018 Our Summer Session has ended and we are looking forward to the Fall Session which starts September 10th. New students: Our Contact/Registration page has the info you need to get started! 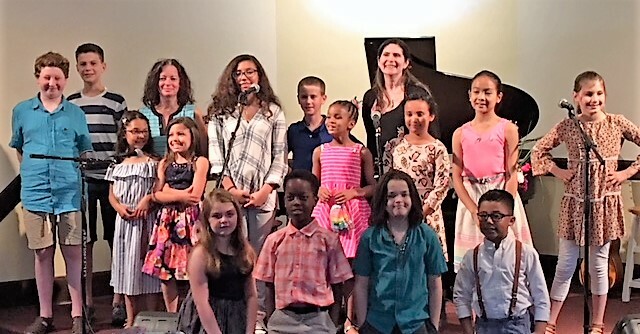 6/15/18 Congratulations to all our 2018 Spring Recital performers! You all did a great job, thank you!! 3/24/18 The Winter Session has ended. Our Spring Session starts April 9th. Check out our Newsletter for more info about the Spring. 2/7/18 Lessons are cancelled today due to snow storm. Please contact Miss Peggy to reserve a make up time. 12/13/17 Looking forward to listening to our Repertoire Class performers tonight! 11/27/2017 We’ll be back from our Thanksgiving break tomorrow. Also, our 2017 Fall Newsletter is now available here. 10/7/17 Our first break of the Fall Session is next week. We are off starting Monday, October 9th until the 15th. Happy Columbus Day! 8/17/17 Hope you are having a wonderful summer! We are finishing up the summer session and looking forward to the start of the Fall Session on September 9th. 5/29/17 Happy Memorial Day! Hope you are all enjoying this special holiday. Regular lessons/classes resume on Thursday. 3/28/17 We are on break until the start of the Spring Session which begins April 3rd. New students: Our Contact/Registration page has the info you need to get started! 3/14/17 Due to winter storm Stella, today’s lessons are cancelled. Stay safe & warm! 2/20/17 We are are Winter break until 2/27. Have a wonderful vacation! 12/28/16 We are on a break until January 4th. Happy New Year! 11/23/2016 We are on Thanksgiving break until Nov. 28th. Hope you have a wonderful holiday. 10/20/16 The Fall Session Jazz/Lyrical dance class has been canceled. It will be offered again in the Spring. Please email us with any questions you may have about the class. 8/27/16 You can help determine our Fall Session dance offerings. Please take our two question Survey. Thank you! Also, the Fall Session Calendar is posted and Registrations for the Fall Session are now being accepted. 7/6/16 The 2016 Summer Session Calendar is now posted. 5/31/16 The 2016 June Calendar is now posted. 5/25/16 We are on break today through 5/31. Happy Memorial Day. 3/19/2016 2016 Winter Session Newsletter is now posted. 12/19/2015 Happy Holidays! We will be back in session on January 4th. Contact Miss Peggy for information about our Winter Session. March 2019 – Our Spring Session begins April 1st! The session Calendar is now posted. February 2019 – Our Winter Break is February 17 – 24. Enjoy your break! Lessons & Classes resume on the 25th. November 2018 – Our Fall Session Newsletter is here! Take a look! March 2018 – The 2018 Spring Session Calendar is posted! Please contact Miss Peggy to register today! December 2017 – The 2018 Winter Session Calendar is now posted! Please contact Miss Peggy to register today! October 2017 – We celebrate Columbus Day and Halloween this month. Have fun on these breaks everyone! August 2016 – We’re scheduling lessons and preparing to welcome our Fall Session students on Sept. 9th! May 2017 – The 2017 June Calendar is now posted! Please review for everything you need to know about the Spring Session wrap up, Spring Recital and Registering for the Summer Session. March 2017 – The 2017 Spring Session Calendar is now posted! Please contact Miss Peggy to register today! February 2017 – Winter Break is 2/20-26 and back in session on 2/27. Have a wonderful vacation!